tags: Justice... in this or any other world. In a devastated post-apocalyptic world where the rules of reality are transformed by magic and madness, a vengeful police officer searches for a possessed serial killer in a battle of the not-so-good versus absolute evil. I read that this was a "perfect late night crowd pleaser" when it was shown as part of a local film festival. So off I trotted to my local emporium, expecting something interesting, quirky, weird, that kind of thing. I wish I hadn't have bothered. This was properly dreadful. I really can't even begin to deconstruct how bad this was - the person who introduced the movie said it was a "Brazilian Grindhouse" - well, the only exploitation going on here was in the 贈8.50 they took off the audience, all 10 or so of us. Nothing really happens, there are a couple of laughable zombies, there's some half-arsed story-line that plods along disjointedly, it was dull dull dull. This should be put IN a grave, let alone beyond one. Avoid at all costs, useless tedious tosh essentially. I've been waiting a long time to see this film. It was announced A LONG time ago as the first Brazilian zombie movie ever made (which was a flat out lie, since there were three zombie flicks from Brazil out already), and it's release was first announced in 2008! Anyway, I finally got to watch the premiere last September 9th on the festival "Cinefantasy". There was a big deal about it, the director was there, it was supposed to be a very exciting event, at least I thought so. Talk about disappointment! The movie is sooooooo boring, the pacing is just beyond awful. No movie that involves zombies, satanism and a serial killer should make you yawn every 5 minutes. I saw many people taking a nap, others were texting, others simply left the room. The Photography isn't bad. You can tell that some work was put into making this film look as less amateurish as possible. The audio is OK, although I'm completely against dubbing. Makes the movie sound very 60s. I much prefer direct sound. The main character is not a bad actor, he delivers his lines quite well, but whoever decided on his wardrobe should never work as a costume designer again. He needs to lose those glasses, cut that mullet, lose the lame suit, and also a few pounds. Script: I don't know the exact budget for the movie, but I know it wasn't low enough to justify not hiring a professional to supervise the script. The dialogue is boring, arrogant, unjustified and simply very very very badly written. Honestly, it's really bad! Lockheart?? Is that really the best name for the lead character of a Brazilian movie? Focus: there is none here. As a zombie fan, I would have loved this to be another zombie flick for my collection, but it isn't. The movie tries to mash a bunch of different styles, sometimes it wants to be a satanic themed movie, sometimes it wants to be a western, a cop movie, a serial killer movie, and a zombie movie. It ends up being none of the above. It's just a messy, confusing, and most of all boring movie.The problem is actually pretty simple: bad directing. The movie has no sense of humor whatsoever. And it needed some. It's not even close to being good enough of a movie NOT to use some slapstick humor. Did the director or any of the producers ever seen the horror flicks Sam Raimi makes? They could have learned from them. The lack of humor in "Beyond the Grave" just makes the movie all the more tedious and arrogant. Makeup: OK at some points... atrocious in others (specially the zombies). come on people! If you're going to make a movie with zombies, at least do a respectable job with their make up! I won't get into the plot holes because I don't want to risk spoilers, I'll just say that there are many of them (plot holes that is). Concluding, Brazil is not known for Its zombie movies. 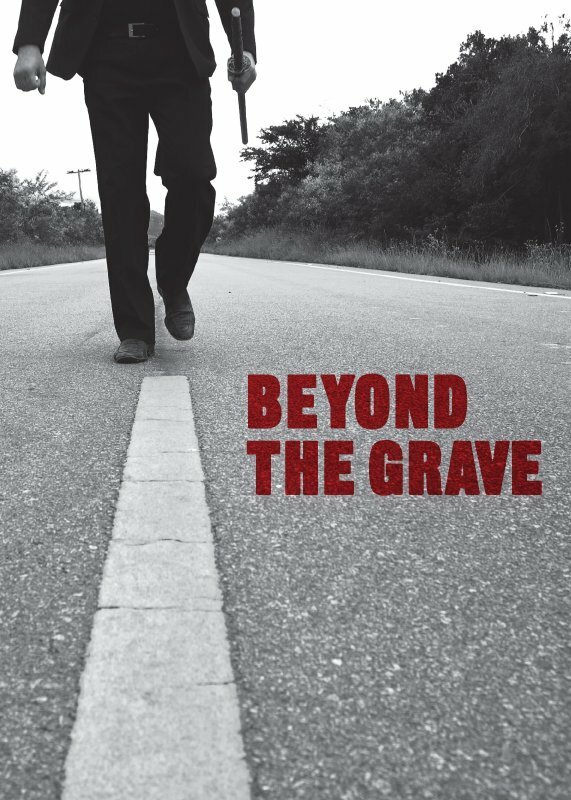 Filmmakers from around here are just starting to make those kinds of movies, and "Beyond the Grave" (although a good effort), is without a doubt the weakest one yet. I wouldn't even categorize it as a zombie movie, it's more like a boring and confusing movie that happens to contain a few zombies here and there. The biggest flaw here is that the makers of the movie think that it's a work of art. The directors statements are very clear that he thinks his team has produced a revolutionary movie, when in fact, it's the most boring, and arrogant zombie related film ever to come out of Brazilian cinema. I have all the sympathy in the world for independent films, but It's very difficult to recommend this one. If you are a true die-hard fan who thinks "The Stiknk of Flesh" (2005) is a masterpiece, than you might enjoy "Beyond the Grave".